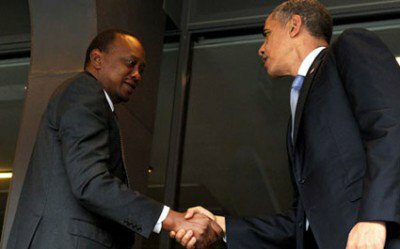 Washington’s foreign policy towards Africa was highlighted recently through the visit of President Barack Obama to Kenya and Ethiopia. Also the president of the Federal Republic of Nigeria, Muhammadu Buhari, came to the United States the previous week and held high-level meetings with Obama along with other officials in the State Department and the Pentagon. Obama’s term ends next year and many have criticized him for not visiting the country where his father was born since he was elected to office in 2008. Kenya has been a longtime ally of the U.S. since the early days of independence in 1963 under the leadership of Jomo Kenyatta, the first president of the East African state. The president attended a business development conference in Kenya. He emphasized during his trip the much-touted phenomenal economic growth on the continent.